Twitter users flooded the social network with messages about the Armed Forces after the General Command of Armed Forces issued on Tuesday statement No (31). The users expressed their pride and gratitude to the Armed Forces and their bravery. Cairo International Book Fair (CIBF) Facebook page unveiled on Tuesday a video to help fairgoers to make their way to the 50th edition (Golden Jubilee) of the Cairo International Book Fair ground، in El Tagamo El-Khamis. Multi-talented star، Bushra posted a picture on her official “Instagram” account with the young model from her and Mahmoud El Esseily music video “Tabat W Nabat”. Actress Lekaa El khamissi congratulated on her official “Facebook” page Egyptian comedian-actor، Mohamed Henedy on his return to the theater with his new play “Talat Ayam Fi El Sahel”. “Congratulations to star، dear co-worker، and beloved brother Mohamed Henedy on the opening of his new play “Talat Ayam Fi El Sahel”، my best wishes and congratulations to all the play cast and to the dear director Magdy Elhawary # Henedy_comback.” She wrote. Humaid Al Qutami، Chairman of the Board and Director-General of Dubai Health Authority (DHA)، honored Monday evening Lebanese recording artist، Elissa in Dubai Health Authority gala in UAE، Dubai. Elissa posted on her official “Twitter” account pictures from the honoring. American actress، Alyssa Milano tweeted on her official “Twitter” account about the thousands of children in immigration detention centers. “Right now، while you’re reading this، there are thousands of children in immigration detention centers.” She tweeted on Twitter. 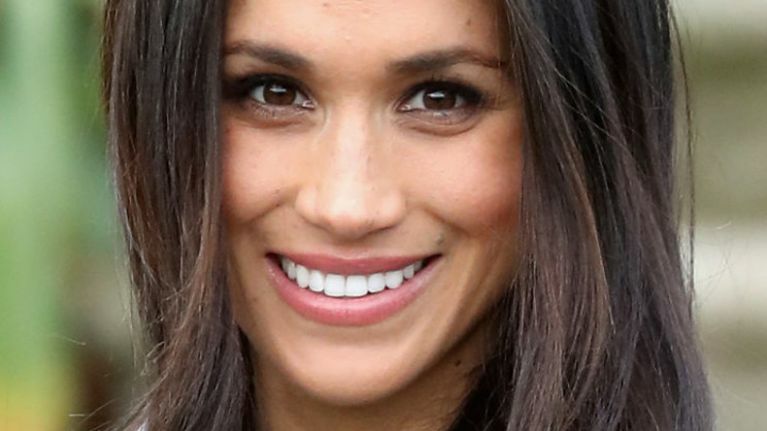 In her pre-Prince Harry days، Meghan Markle had quite the social media presence. The Duchess was an active presence on social media back in ye olden days of Suits، but she deleted her account after joining the royal family. However!!!! The Daily Mail reports that until recently Megs had a ~secret IG~ for following her friends. So، what happened? Apparently، Meghan shut down her secret Instagram at Christmas "to protect her mental health" after seeing cruel comments from trolls، which left her feeling "isolated and alone."